Here is a visual illustration of how the angle of divergence affects the distribution of petals, leaves, florets, and so on in botany. 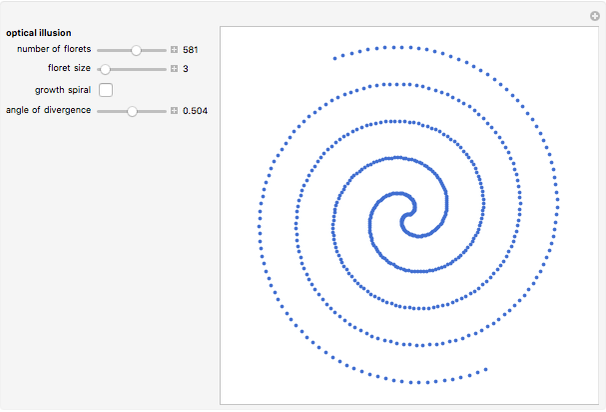 In the initial settings, the angle parameter is the inverse of the golden ratio, . 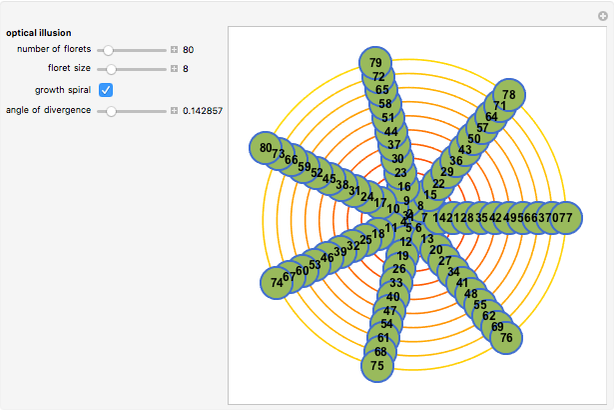 Count the number of ghost spirals (parastichies) turning to the left and right. You find two consecutive Fibonacci numbers depending on the number of florets. Unmask this optical illusion by looking at the growth spiral. 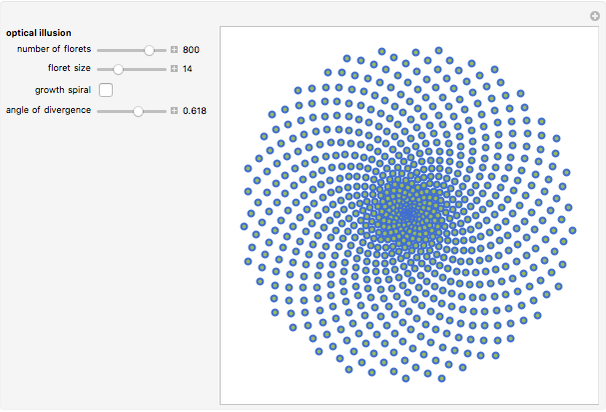 Beyond this special golden angle the Demonstration gives all distributions of phyllotaxis. Try irrational and rational numbers for the angle parameter. The florets are arranged on an Archimedean spiral, according to the simple parametrization , with and . Using would return analogous distributions by maximal packing efficiency, but the growth spiral would no longer be Archimedean.